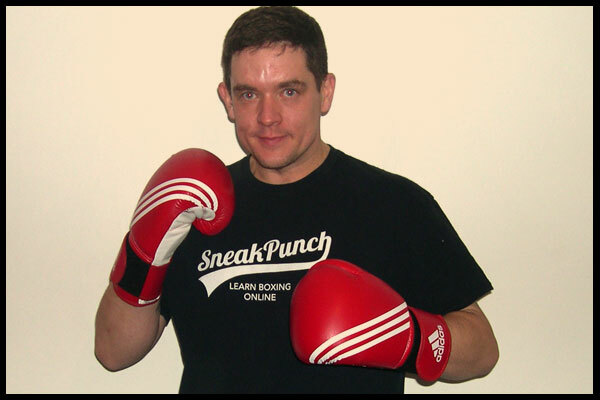 This is THE ULTIMATE PUNCH BAG WORKOUT – I will teach you to box and get you super fit with my NON-CONTACT boxing training system. All you’ll need is 30 MINUTES A DAY to get fighting fit. You will learn REAL BOXING SKILLS, IN-FIGHT COMBINATIONS & everything you need to get the best out of your punch bag training. 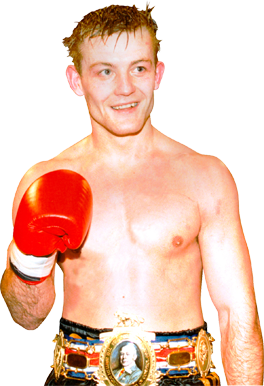 I’ve brought 30 years of boxing & coaching experience together to bring you everything you need to fast-track your fitness & develop your boxing skills. 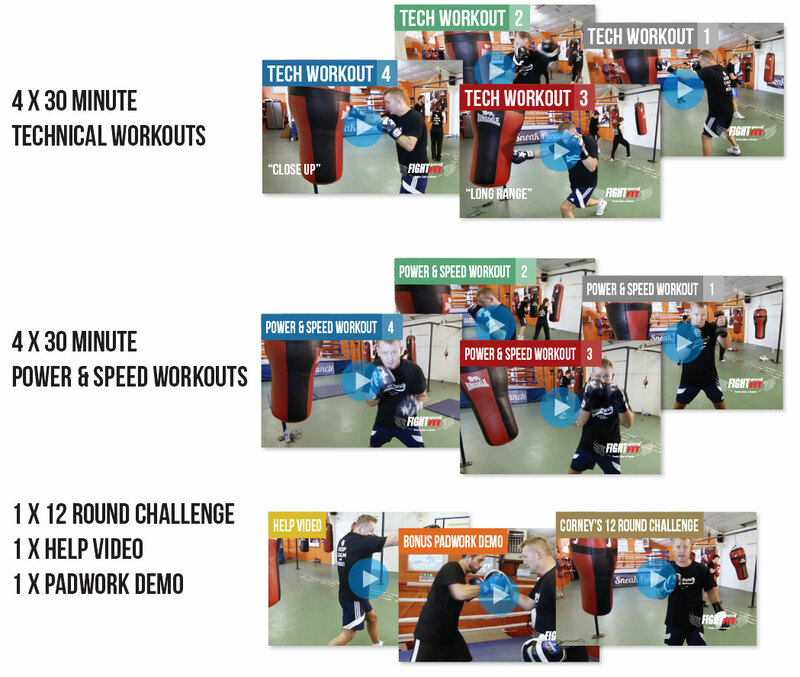 Whether you’ve never punched a bag, or even if you’ve boxed before, everyone can benefit from this comprehensive system. 9 WORKOUTS, ALL BASED AROUND THE HEAVY BAG – 4 x Power & Speed, 4 x Technique & my 12 Round Challenge. These punch bag workouts have been specifically designed to get you learning & keep you on your toes. No time to get bored – believe me – these routines will work you hard. Train with me – former World Middleweight Champion Cornelius Carr. If you want to get fit and you want to learn to box, this system is all you need. “I just wanted to share with you the following, after my first 4 weeks. Fight yourself fit is perfect for me as it’s just 30 mins of explosive exercise which anyone can do. “I’m 42, and the most unlikely person to undertake boxing training. But it’s worked for me. I’m fitter, stronger and 25lbs lighter. I’ve achieved a dream that I never thought possible – by learning some amazing boxing techniques! Boxing rounds truly are the original HIIT sessions. 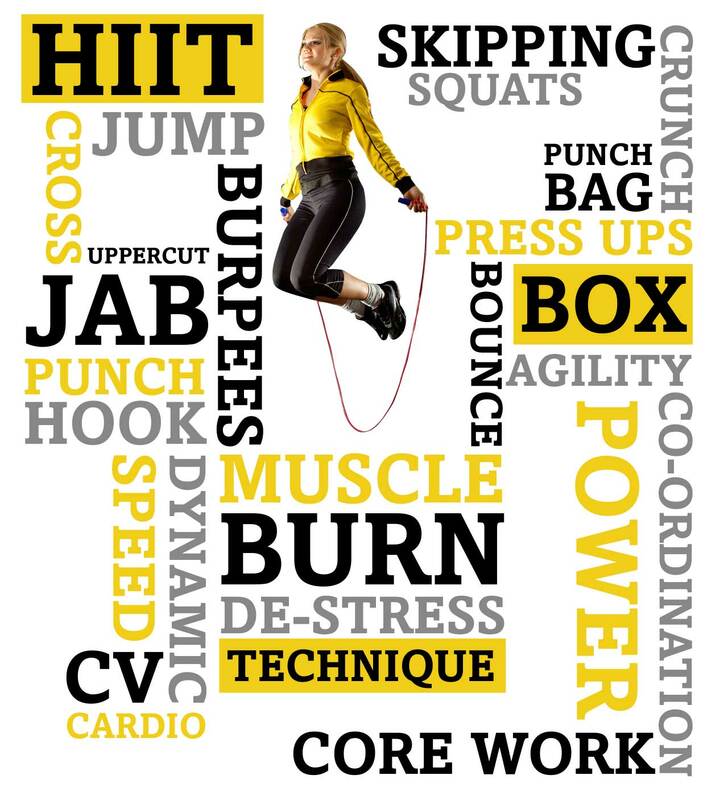 HIIT involves short bursts of high intensity activity interspersed with rest periods – Just like a real boxing fight. Boxing training works to the same format with rounds of hard training followed by short breaks.This gives you all the health benefits of HIIT training, plus you learn to box. This training gets results fast and it’s no wonder that boxing was recently named as the “Toughest Sport” in the World by ESPN. So – boxing training not only makes you look good on the outside, but gets you healthy on the inside too. Your cardio output ability will sky rocket and your body will be a well oiled machine. Boxing training is great for both the mind and body. All that concentration and focus along with the endorphins released will leave you feeling euphoric, yet calmed and refreshed both physically and mentally.Engage the Core Learn to punch correctly and use your whole body including your entire core as you tense and twist. Tone & sculpt your shoulders as you punch. Engage your back and lat muscles as you train. Boxing training gives you a whole upper body workout for your shoulders, chest, arms, abdominals and back. Boxing training is the perfect way to let off steam – punching provides both a physical and psychological exit path for your stress. Feel energised yet calmer for the rest of the day. 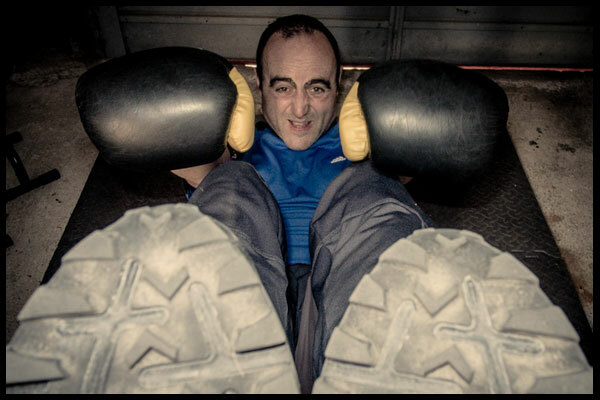 Start your day with boxing and leave your worries on the punch bag! Boxing training involves getting to know your body mechanics. Boxing combinations improve hand-eye co-ordination and increase your body awareness and self confidence. Don’t worry, this system comes with a quick easy-to-follow video guide to teach you all the techniques you need to get the most out of your workouts. Please see a quick snippet of the help video to the right. Power and speed are both crucial for boxing. These 4 different workouts contain dynamic exercises to build your boxing power and increase your speed. With a mix of body weight exercises, weighted punches and speed work on the bag these routines give you an all over body workout. 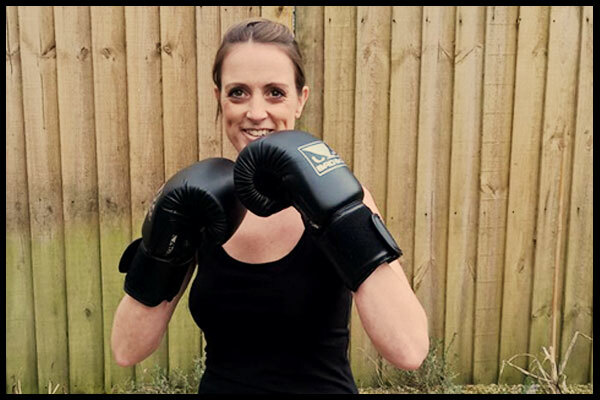 Corney will take through your paces and you will be punching harder and faster in no time! These easy to follow 30 minute technique sessions break down genuine boxing combinations. Each combo is built up step by step, making them simple to learn and master. These are actual real life boxing techniques demonstrated by former World Champion Cornelius Carr. You’ll be slipping, rolling and hooking in no time at all! NEED HELP? - Corney’s got it covered. In the help video Corney will guide you through each technique, showing you the correct movement and demonstrating every technique on his punch bag. PADWORK DEMO - In this video Corney runs through every Fight Yourself Fit workout combination on the focus pads in both Orthodox and Southpaw Stance. Our Students LOVE Fight Yourself Fit!
" I taught martial arts for 25 years and training can become a bit boring, the variety in the bag drills get me really fired up again and just loving it. Thanks guys"
"Superb program, taking this to the gym with me on a tablet with Bluetooth headphones - killer workout and varied enough to keep you guessing. Thanks for making a system that would challenge a novice or a seasoned boxer." We’ve joined forces with the teachable online learning platform, to give our students the best possible training experience. Teachable has over 5000 teachers worldwide and is one of the fastest growing resources for online learning. Choose your plan - play and go! We’re here to help - don't be shy. The response to our program has been incredible. Our students are fighting themselves fit all over the world. Don't Miss Out On Your FREE VIDEO Workout! 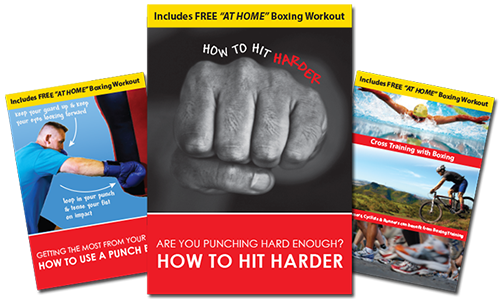 + PLUS Get these 3 FREE Boxing Guides with Workouts!